Food Plymouth’s interests and activities span the domains of social, economic and environmental sustainability. These are expressed through the six strands of our action plan, each of which focuses on transforming a different aspect of our food system. 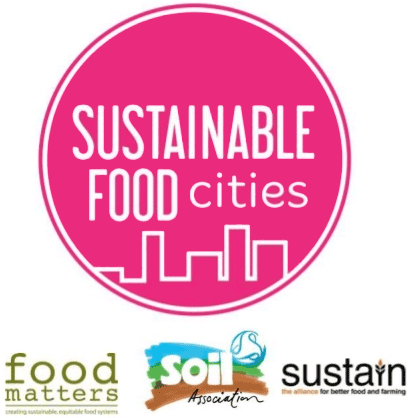 Food Plymouth is an active contributor to the 50+ strong Sustainable Food Cities (SFC) Network in the UK and Ireland. 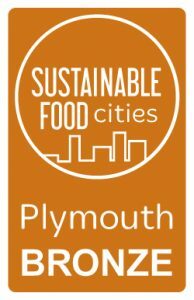 Food Plymouth enabled the city of Plymouth to achieve Sustainable Food Cities (SFC) Bronze status in 2015, one of only five UK cities to win this accolade. We have been working towards SFC Silver standard since then. See our Actions section for more detail. Linking with the Co-operative Councils Innovation Network. This collaboration and year of exciting food project activities, will consolidate our collective action and show that organisations and communities in Plymouth are taking a positive approach to all aspects of food. It consolidates the excellent food work already being achieved in our communities, and assists with our progress towards achieving the prestigious silver SFC award. Thrive Plymouth is led by the Office of the Director of Public Health, Plymouth City Council and is our 10-year plan to improve health and wellbeing and reduce health inequalities in the city. 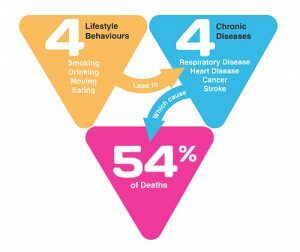 Over the last 4 years we have worked with hundreds of organisations across the city to promote healthy lifestyles – to support people to be free from tobacco, drink alcohol safely, be physically active and eat healthily. We are now in our 5th year and the focus for Thrive Plymouth is People Connecting through Food. We are launching on 16th October 2018 to coincide with World Food Day which is focused on tackling global hunger. We are working in partnership with Food Plymouth who act as a ‘central connecting platform’ for all things food-related in the city. Food Plymouth’s mission is to promote local, healthy, sustainable and affordable food as a driver for positive change. We want to support Food Plymouth in their mission to achieve Silver of the Sustainable Food Cities Award. The city currently has Bronze status and if successful would be only one of four local authorities in the country to achieve Silver, along with Bristol, Brighton and Hove, and the Greater London Authority and London Food Board. This award is designed to recognise and celebrate the success of places taking a joined up, holistic approach to food and that are achieving significant positive change on a range of key food issues. Thrive Plymouth is a movement for a healthier Plymouth. It is about improving the health and wellbeing of everyone in the city. There is currently a life expectancy gap of 12.2 years between neighbourhoods in Plymouth. Closing that gap is crucial to the city thriving and an outstanding quality of life being enjoyed by everyone. The seemingly insignificant choices we make have a major impact on the things we all care about. Everyone, – public sector organisations, private sector employers and individuals – has a role to play in making Plymouth Thrive. Food Plymouth’s multi-sector Partnership was formed in 2010, enabled by a direct support package from the Soil Association, with local match funding from Plymouth organisations. Since its fruition, Food Plymouth has developed and delivered the Plymouth Food Charter and Action Plan which ran between 2011-2014. During this time, European links were established, including collaborative work on the EU Inter-reg and deal programmes. Food Plymouth inputted expert evidence into the Plymouth Fairness Commission during 2013 (see Fairness Commission report 2014 and co-authored the Future of Food in Plymouth 2014-2031 strategic planning paper. Plus, working towards Sustainable Fish City status 2014… all of which earned Plymouth its bronze SFC award. We are now working towards our Silver SFC award which is the focus of the work we are currently doing. Our multi-sector partners enjoy a range of benefits from their continued support of Food Plymouth, including: Being part of the 50+ strong Sustainable Food Cities (SFC) movement; participating in Food Plymouth’s quarterly Partnership Network meetings; engaging in a range of food activities/events; being part of a dynamic and coordinated network helping to move Plymouth towards food system transformation; and receiving (and contributing to) our regular news bulletins. Our news bulletins are distributed directly to the active members on the database and through this website and social media channels outlined below, thereby aiding communication, transparency and accountability. Food Plymouth has around 120 active members and partners within a wider database of 1,000 + contacts, 1,024 Facebook followers (join us) and 3,124 followers on Twitter (follow us). The future for Food Plymouth is exciting and packed with opportunities. We would like to say huge thanks to the faithful core team, supporters and partners who have worked tirelessly (mainly in a voluntary capacity) brought Food Plymouth through to this breakthrough position; and a warm welcome to newer faces who are consolidating and adding to this living legacy. If you wish to contribute to this growing movement in any way, please contact the Food Plymouth core team.